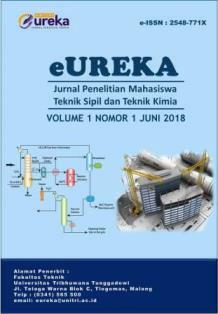 eUREKA : Jurnal Penelitian Mahasiswa Teknik Sipil dan Teknik Kimia, ISSN 2548-771X (online) , is a scientific publication/ journal for college students that publishes articles in the field of Chemical Engineering and Civil Engineering, Engineering education and learning. Every submitted manuscript will be reviewed by peer-reviewer using single blind review method. eUREKA is published twice a year on Juni and December by UNITRI PRESS of Universitas Tribhuwana Tunggadewi Malang. 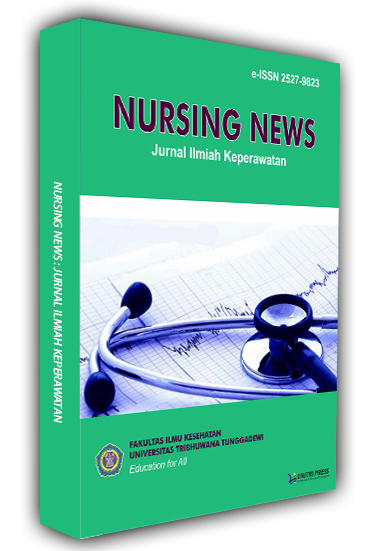 The journal is published in online versions, and the online version is available for free. Abstracts and full text that have been published on the website can be read and downloaded. 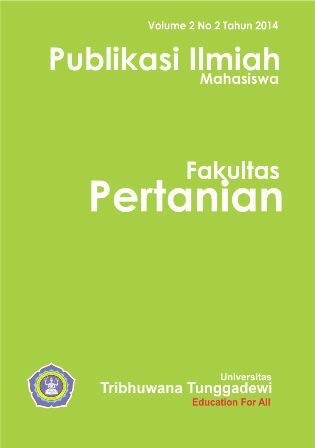 Jurnal JISIP adalah Jurnal Ilmu Sosial dan Ilmu Politik yang memuat hasil penelitian dan kajian di bidang Ilmu Sosial, Ilmu Politik, Ilmu Komunikasi, Ilmu Administrasi, dan Ilmu Hukum yang belum pernah dipublikasikan.